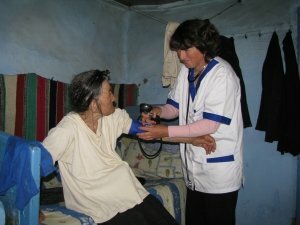 FSC started to implement serivices for the elderly from September 1997, at the innitiative of Dr Stefan Ciobanu, as an extension of community care, replicating a model implemented by Dr Vladu in Bucharest; these were soon much developed and diversified, extending to a larger geographical area. This is a more detailed presentation of how the project evolved. The Community Support Foundation has been providing, since 1997, home care services for elderly people who are dependent, suffer from chronic illnesses, disabilities, lack of support and income. 2001 we introduced palliative care, employing more nurses. 2003 we were contracted by the Health Insurance Department Bacau, and Health Care providers. 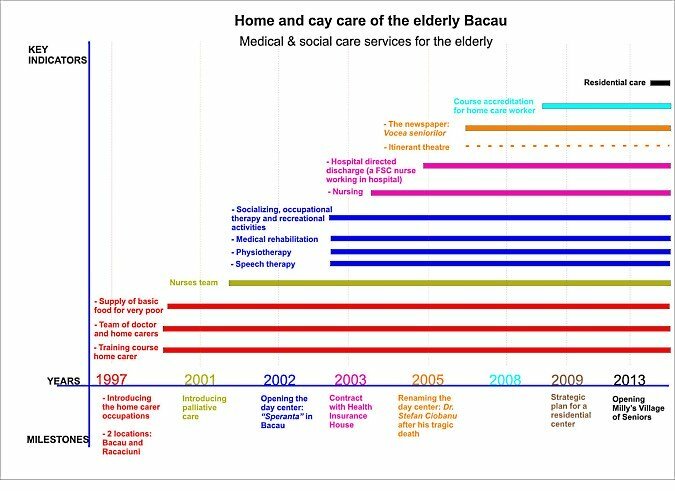 During this time, FSC identified other needs of the elderly which could not be met by Home Care, resulting into the opening of the Day Centre in 2002, in Bacau. 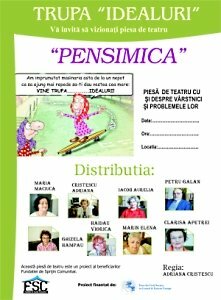 In 2008 -2009 The Caravan of the Elderly performed a play reflecting with humour the life of the elderly and its challenges. In 2012 more Day Centres were opened in Colonesti and Rachitoasa and in 2013 in Podu Turcului. Ileana Pletosu aged 74, is in our evidence since August 2009 as she had difficulty in meeting dailly needs (housekeeping, shopping, paying bills, etc). In the beginning, she received home care once a week. Medical diagnosis according to the hospital file of Pneumology Hospital Bacau from June: Pulmonary fibrosis, Pneumonia, COPD, Obesity, Colitis, Candida, urinary tract infection, chronic respiratory failure, Coronary artery disease, urinary incontinence. 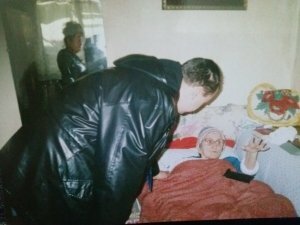 Besides the provided home care services she received donations, support to obtain custody of an oxygen machine, weekly help from young volunteers, help with general cleaning for the holidays. Natalia Leatu aged 65, is in our evidence since May 2009. At her discharge from hospital the surgeon recommended to recive medical services at home. Every day a FSC nurse visits her, efectuating the wound disinfection at amputated leg. Since June 2010 she benefits of the home care program, initaly 2 twice, now, to 3 times per week. She receives help with: general toilet, housekeeping, shopping, paying bills, cooking. The FSC home care also helped her learning first steps with prothesis. 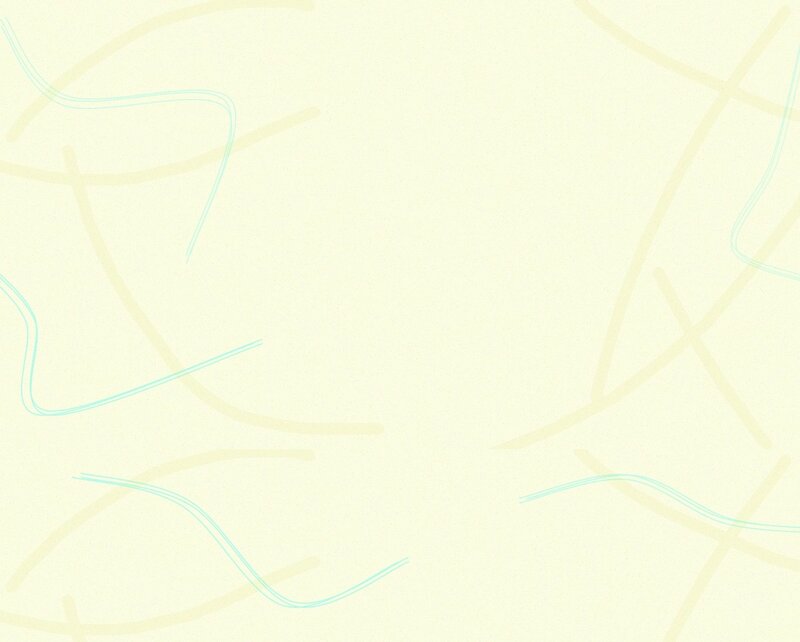 Besides the home care she receives incontinence materials ocasionally. Cata Elena aged 80, is in our evidence since August 2009. She lives alone, widowed since 1990, no children. She was referred by the Local Authority. She benefits of home care once a week, she needed twince, but refused as she wanted to try more herself. She has reduced mobilty so she can t leave the house. The carer helps with shopping, paying bills, buying drugs, housekeeping, etc. Medical diagnosis: Osteoporosis, Femure fracture, Stroke. Her femur fracture intervention failed, resulting medium leg paralysis. Besides home care she receives incontinence materials and cleaning products.